I'm used to celebrating Christmas when it's 30 degrees outside, so it was fun to see Christmas trees and holiday decorations next to palm trees and sunny skies. 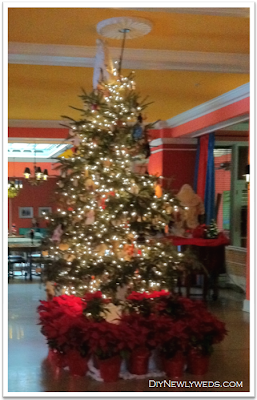 The hotel we stayed at (more about that later) in Delray Beach, Florida was decorated with a Christmas tree adorned with vintage ornaments and surrounded by poinsettias (sorry for the blurry camera phone picture I quickly snapped as we were checking out). 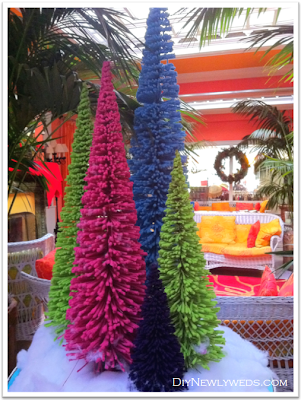 The hotel also had a very cute and colorful display of mini trees made of fabric. 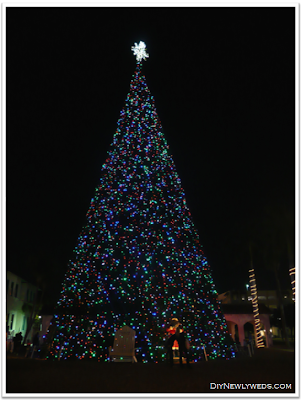 Near our hotel, the city had set up a Christmas display in the park along with a whopping 100 foot Christmas tree! This tree dwarfs even the 74 foot Rockefeller Center Christmas tree I saw in New York. It would be pretty difficult to get a real tree this size in Florida, so this was a faux tree. The tree was still pretty cool though and it was made from something that looked like an enormous tomato cage covered in faux evergreen branches. You could even walk inside of the tree where there was an animated Christmas display set up! 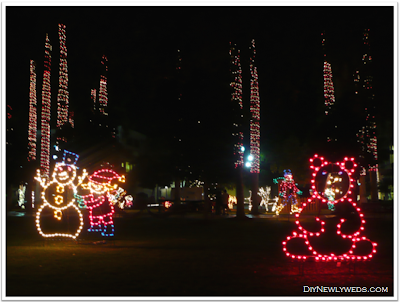 In nearby Boca Raton, Florida one shopping center we visited was decorated with colorful Christmas lights and creatures. 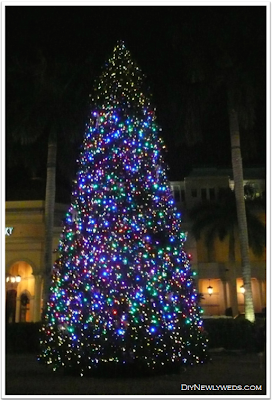 Inside of the Mizner Park shopping plaza was a beautiful 34 foot musical faux Christmas tree. Yes, musical! 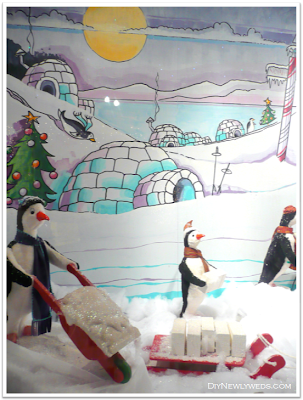 What are the holidays like in your area? 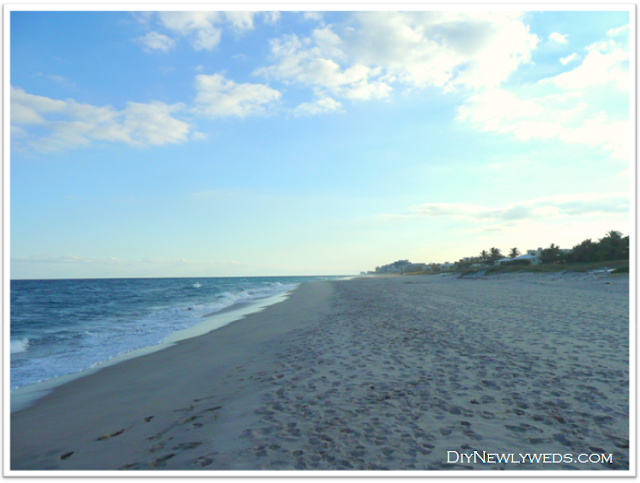 Do you dream of a white Christmas or white sandy beaches?